Rosenheim – Pioneering architecture combines sustainability with innovative ideas to create high-quality accommodation. The “Quartier 23 – Urban Park Living” project, which features HARO parquet, won Gold in the international dry construction competition. Smart factories, digital integration and customer-centric manufacturing. These are the trends and themes currently shaping the global wood industry and its No. 1 technology hub, LIGNA, the world’s leading trade show for woodworking and wood processing plant, machinery and tools. One the big focus themes of LIGNA 2019, which runs from 27 to 31 May in Hannover, Germany, is “Integrated Woodworking Technologies – Customized Solutions”. We are delighted to announce the new keynote theme for DOMOTEX 2020: ATMYSPHERE. How can flooring improve wellbeing? Its look contributes to the overall ambiance of a room, while it retains heat and absorbs sound. These and many other qualities facilitate the creation of both individual worlds and ideal work environments. To enable its various premium flooring products to be used in the best possible way, HARO strives continuously to optimise its range of accessories. Last year, HARO added to this range by introducing enhanced new primers and adhesives for professional installers. Rosenheim – Hamberger Industriewerke, the home of the HARO brand, ranked once again this year among Germany’s most popular family-run companies. For HARO retail partners, this honour serves as another impressive confirmation of their relationship with HARO. Successful selling with the new app HARO digital! Rosenheim – The HARO digital! app is ready for you to download now. HARO developed the new app HARO digital! to provide sales representatives with professional support during their conversations with customers and to give them all of the sales-relevant information they need. At the press of a button, the app presents sales representatives with all important product information and offers optimal visualisation possibilities. As HARO partners are aware, an increasing number of interior designers are on the lookout for comprehensive solutions enabling them to plan staircases that harmonise perfectly with the desired high-quality parquet, laminate or design flooring. Thanks to HARO’s broad range of accessories, HARO partners have the matching stair nosing to satisfy all requirements, and are therefore equipped to offer complete interior design solutions. With the new basic range Savannah and Prairie we offer an assortment which is a must for every entrepreneur. Fully focused on the latest trends with floors in an unfinished look or as unfinished available in different widths Solidfloor emphasizes the basic beauty of the real wood. elephant® supplies decking, fences and floors made of bamboo, wood, WPC and LVT. 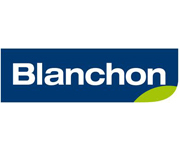 Our outdoor products are ideally adapted to withstand weather and other environmental conditions. They combine a beautiful appearance and a solid quality. A nice wooden floor finds its origin at the drawing board. And in our case, even a step before that. It starts with what we see around us, in the city, in fashion and in design. But our biggest source of inspiration is color and nature. Decorating home, business space, restaurant or cafee you can affect on peoples emotions in the enviroment. Do you want them to feel luxury, relaxed, intrigued by interior design? What is the purpose of the space? Answering similar questions you will get idea of your future space. Lido Hotel, built in 1930, is a page in the history of Bucharest. The building was designed by Ernest Doneaud, a famous architect from the period between the wars. The architecture of the building is embedded in the modernist current with Art Deco elements, and that gives it unique beauty and unrivalled historical value. Looking back at the very successful Ciranova reviews following Domotex USA and the launch of our new product PINK BLOCKER 2C that was showcased on different wood samples, Ciranova once again proves their leadership in developing unique stains and natural finishes that clients have come to know and trust. After its successful participation in the Wood Pavilion during the Building Show (Bouwbeurs) 2019, HWZ International AG recently participated in the IFEX (International Furniture Exhibition) from 11 to 14 March in Jakarta, Indonesia. Würzburg, March 2019 - Mrs. Susanne Büttner is supporting Pallmann-Marketing in Würzburg with immediate effect. Her areas of responsibility include in particular international marketing and online marketing/social media marketing. The MMFA (Multilayer Modular Flooring Association, based in Bielefeld) is delighted to announce a growth in membership: both Tarkett France and Portuguese manufacturer Corkart Indústria De Cortiças have recently been welcomed as ordinary members. 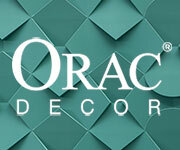 In addition to these, Italian décor specialist Neodecortech has joined as an associate member. This makes a total of 52 companies and institutes within the MMFA at the present time. Rosenheim – In the market segment of healthy living design floors, HARO has been one of the pioneers of 100% PVC- and plasticiser-free design flooring for years. For this reason, the company systematically works to expand further and has added six new stone styles in a tile format to the DISANO Smart Aqua series. 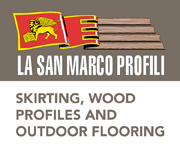 Following the publication of European standard EN 16354, the EPLF has updated its technical bulletin “Underlay Materials under Laminate Floor Coverings – Test Standards and Performance Indicators”. This document gives information and advice on choosing the right underlay for laminate flooring used in a variety of applications. The new bulletin can be downloaded as a PDF file free of charge from the Association’s website www.eplf.com. Language versions currently available are German and English, with the following to be added soon: French, Dutch and Polish. Shanghai. One day before the official opening of its 21st edition, the organizers of DOMOTEX asia/CHINAFLOOR along with China National Forest Products Industry Association are hosting the 5th international Wood Flooring Forum. 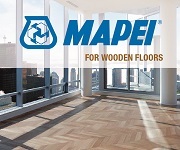 The Forum will give wood and resilient flooring manufacturers, buyers and associations an overview of the opportunities and obstacles in the international wood and resilient flooring market addressing topics such as legal, trade and environmental issues affecting the flooring industry. Rosenheim – No fewer than 1,980 bottles adorn the ceiling and an impressively long table dominates the room. Located in Bressanone, Italy, Villscheider Farm’s new stylish wine tasting room is the perfect place to enjoy the winegrower’s top-class tipples directly on site. 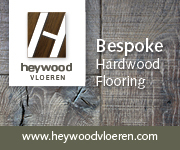 Hamberger Flooring supplied the flooring for this stunning space. 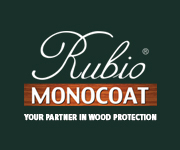 At Rubio Monocoat, we breathe wood. 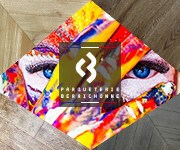 As the ‘King of Colours’, it is our mission to accentuate and protect the natural beauty of the wood in every project. In 2017 and 2018 we responded to colour trends when we launched the Rubio Monocoat trend colours. We look back on 2 successful trade fairs in Germany where we have spoken to many potential customers but also were able to meet existing clients. Cezar is a Polish family company started its business activity in the sixties. The start of production of tile profiles in 1994 started a new era in the company's history. Dynamic development noted in 1995 Cezar patented PVC skirting board, in 1997 start of building the production plant in Elk. At Rubio® Monocoat we closely follow and enjoy responding to the various trends in our sector. Rubio Monocoat Pre-Aging is a high-quality, non-reactive water-based pre-treatment that is available in 10 standard colours. The ultimate answer to create the most beautiful looks on your wood ! appearance of the wood. Ciranova® has developed a product which when applied to the wood will prevent this pink colouration! Cezar LVT profiles are designed for modern luxury vinyl flooring. 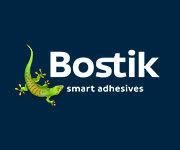 Following profiles are practical and esthetical link for vinyl surfaces, covering gaps, decors stair nosing. LVT profiles are also great solution for finishing panel flooring. Invisible 2K Finish is a high-quality, ultra-matt, and waterborne varnish which has been specially developed to give a matt and untreated look. Shanghai. 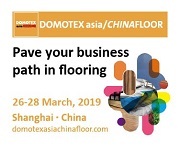 From 26 to 28 March 2019, the floor covering industry will meet again in Shanghai to see the newest products and innovations in the world of flooring at DOMOTEX asia/CHINAFLOOR. This year’s show has attracted over 1,500 exhibitors from 40 countries spread out in 15 exhibition halls covering a total gross exhibition area of 175,000 square meters.